Our focus is on helping you to improve the productivity and performance of your equipment and we want you to have the resources to help you select and order the best parts and solutions quickly and efficiently. Our expert team is available 0830 to 1700, Monday to Friday and the website is available 24×7. So you should never be too far away from the help you need. Here at PSI we work closely with our clients to ensure that we identify and comply with all applicable industry standards as well as any statutory and regulatory requirements required for the safe and proper operation of our products and solutions. The scope of compliance is really industry dependent from Medical requirements for filtration (EN ISO 7396-1) to fire compliance ( EN45455) for the UK railways . Compliance forms a structured and necessary part of our engineering process and is often a parallel work stream with risk assessment and failure mode analysis. Our engineering team are not only able to identify compliance need but can also construct detailed test plans and produce specialist test systems to demonstrate and prove. PSI are a proven safety critical supplier to the UK railways and are regularly audited by our major customers to ensure continued compliance. PSI will make every appropriate effort to ensure compliance with RoHS Directive 2002/95/EC and 2011/65/EU. However, companies that supply PSI with Electrical or Electronic Equipment are obliged to ensure compliance with RoHS Directive 2002/95/EC and 2011/65/EU and must bear the responsibility of ensuring that their obligations regarding the appropriate laws and legislation are observed. PSI makes no warranties, expressed or implied and assumes no third party liability in connection with any use of the information in its statements of compliance. PSI Technologies Ltd is committed to providing quality products and services to our customers. To help achieve this we have implemented and maintain a Quality Management System that meets the requirements of ISO 9001:2015 and are certified by NQA. The implementation of the Quality Management System ensures that we continually monitor and improve our business processes and products in line with our core mission of providing value through innovation. 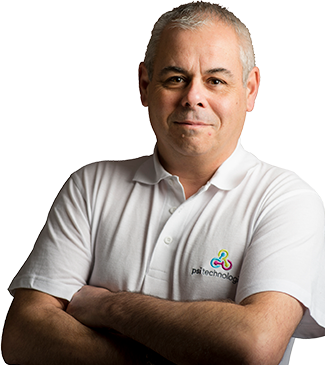 PSI Technologies are committed to providing value through innovation to our customers and partners and to increase sales, customers and profitability. To help achieve this we have implemented a Quality Management System based on ISO 9001:2015 which is continually reviewed to ensure that it remains suitable and effective. In keeping with our mission and strategic direction, we will continue to improve the Quality Management System and its associated processes to ensure that it enables us to meet both customers’ and applicable statutory and regulatory requirements. PSI are committed to our compliance with the Health and Safety at Work, etc. Act 1974 (and regulations made under it) and the provision of a safe working environment ensuring adequate control of risk. Our ethos is to develop, maintain and improve our ability to eliminate or control risks to health and safety; to meet expectations of employees, shareholders, customers and suppliers, and to satisfy legal requirements. Our policy is to exceed the minimum requirements of the law where possible, with sufficient funds and resources allocated to achieve this. We will also ensure that systems are in place that will enable us to properly assess risk, maintain, monitor and, where necessary, improve, safety and health performance throughout all areas of our activities. Included in these systems will be the means to provide effective communication and consultation on health and safety matters at all levels of the business. Any information, instruction, training or supervision necessary to meet these commitments will be provided to those who require it, to enable them to perform their job safely and competently. In return, PSI expects employees at all levels to exceed their minimum legal duties – these are set out in our organisational responsibilities. This includes cooperating with us on safety matters and taking care of their own safety and that of others – whether from within, or outside the company – who may be affected by their actions or omissions. This policy, and the way it is operated, is reviewed annually – or more often if the business changes in nature and size. The overall health and safety management system will be subject to an appropriate audit process. Any revisions made to improve safety performance will be effectively communicated to employees and all other interested parties. PSI will act responsibly and ethically whilst working to build long term relationships with our customers and suppliers. PSI is also committed to encouraging a culture of openness, integrity and accountability. This will benefit both our customers, employees and the company as a whole. All employees are encouraged to behave in a way that will protect the interests of PSI, their colleagues and the environment overall. PSI supports the international commitments for the protection of human rights and anti-slavery legislation. PSI maintains a code of conduct that it expects all employee to adhere to in terms of behaviour. The code of conduct is implemented and communicated across the business. PSI operates a policy of zero tolerance to bribery and fraud. Gifts and hospitality may not be accepted in return for special or preferential treatment from suppliers or customers. PSI is an inclusive company and embraces diversity. We comply with the equalities act and promote equality within the workplace. PSI supports the rights of all individuals to be treated with dignity and respect regardless of race, religion, gender or sexual orientation. Bullying or harassment will be treated with the upmost importance. Alleged breaches of company policy and practices are investigated. Employees found to breach any such policies will be liable to disciplinary action. PSI also encourages employees to disclose information on serious concerns they may have about activities within the company. Any such disclosures are treated with strict anonymity. All managers are expected to demonstrate visible leadership in supporting the company’s ethical values. PSI are not directly required to publish a statement with regards to the Modern Slavery Act 2015, however, we understand the statutory obligations placed on many of our customers and the moral obligation that we hold ourselves. PSI is clear that any form of slavery is an abhorrent crime that has no place in today’s society. As a relatively small company, we are able to easily control the activities within our own organisation and have set out an Ethics and Business Conduct Policy which makes clear to employees the actions and behaviour expected of them when representing the organisation. The organisation strives to maintain the highest standards of employee conduct and ethical behaviour when working with our customers and managing our supply chain. PSI selects its suppliers very carefully, working primarily with large European and North American organisations with clear ethical policies and appropriate working practices. However, we ask new suppliers for a copy of their Modern Slavery Statements (where they are available) or information regarding the manufacturing/sourcing practices before considering trading with them. We also carry out regular supplier audits which include a focus on slavery and human trafficking. PSI encourages all our workers, customers and other business partners to report any concerns related to the direct activities, or the supply chains of, PSI. This includes any circumstances that may give rise to an enhanced risk of slavery or human trafficking. Employees, customers or others who have concerns can raise them directly with a member of our senior management so that it can be investigated, without fear of retaliation. Following on from our own ethical policies and our position regarding modern slavery, PSI does not work directly with any conflict materials described as Gold (Au), Tantalum (Ta), Tungsten (W) and Tin (Sn) that are sourced from the Democratic Republic of Congo or adjoining countries from mines controlled by non-governmental military groups. As part of the PSI process for the implementation of new suppliers, our supplier questionnaire requests direct confirmation that materials we purchase do not contain conflict minerals and a self-declaration is also required that the full supply chain process of the suppliers has been examined to confirm this.